"In the crowded field of international singing stars they don't come much more international than baritone Gerald Finley. 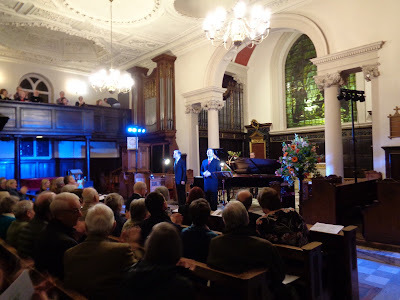 He’s graced virtually every major world opera house and concert hall, singing everything from Mozart to Mark-Anthony Turnage, so to secure him and his long time musical partner, the equally starry pianist Julius Drake, to sing in a small parish church in Kent was nothing short of a coup." Read the rest of this review by Stephen Pritchard at Bachtrack.